Sushi is not raw fish, that’s sashimi. Sashimi is just sliced raw fish, sometimes dipped in sauces and sometimes served with sushi. Sushi is any food dish consisting of vinegared rice, usually served with some other toppings, but not always. It happens to often be served with various types of sea food, either cooked or raw, and perhaps even a mix of the two; but that tradition simply comes from the primary food staples of the locations where sushi originated (not Japan, by the way). Sushi can be served with just about any toppings or none at all. 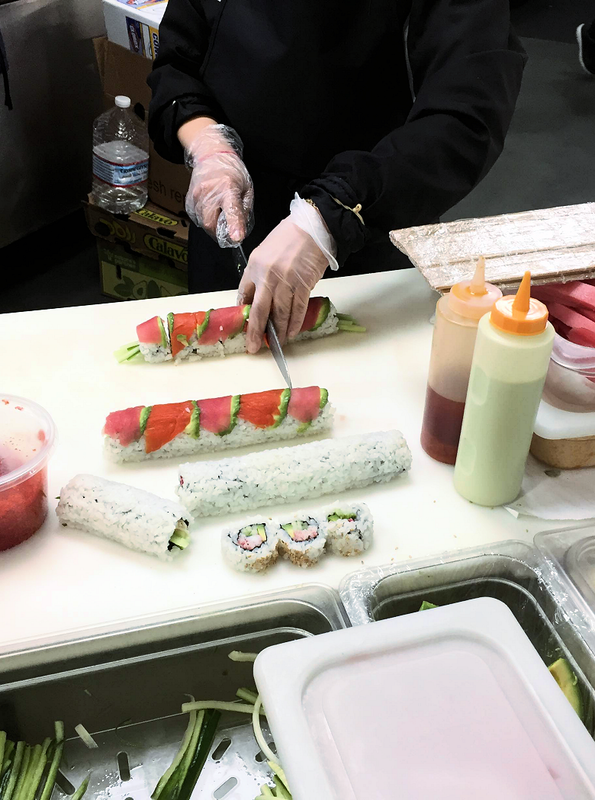 Gene's Fine Foods is pleased to offer our customers sushi that is prepared fresh daily.